From the simple modification to a fully unique custom bass of your own design. If you can dream it up, I can probably build it! Have an idea for a bass? Or maybe a custom inlay? Have an idea for a bass that you'd love to have but they just don't exist? 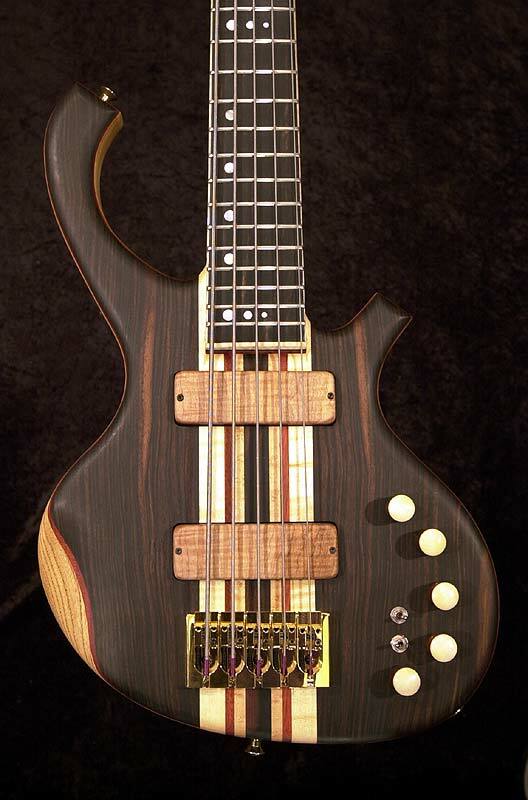 Have you ever said "if only a bass had THIS... or THAT.....", I'd love a bass like that. Well then, we should talk. From there, work out the rest of the details like pickup placement, and other options like binding or type of inlays, wood choices, fingerboard radius, number of frets, maybe wooden pickup covers and matching knobs, hardware choices, etc. 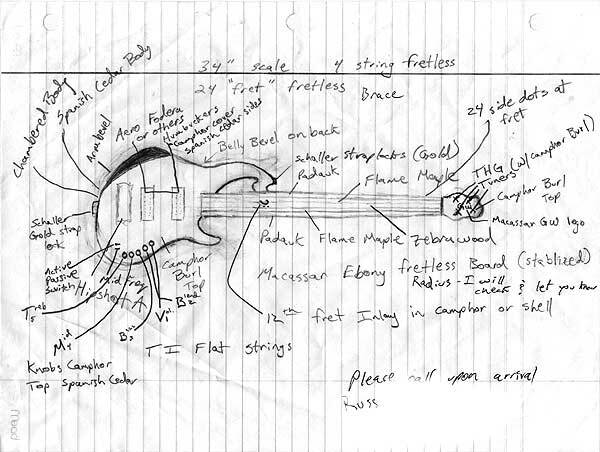 Of course, I do reserve the right to refuse to build your a bass of your own design for several reasons. First, I won't copy some other builders design. 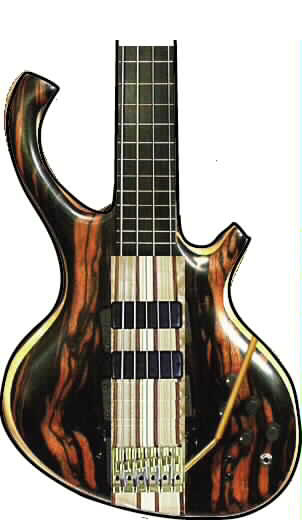 If you want Fodera, or an MTD, or a Pedulla or any other the other great basses out there, please purchase one of those. Other reasons for me to turn down a custom build would be if I determine that there are flaws in the design that would cause structural weakness in the bass, or that it might not be playable, or maybe I just don't like the design (sorry, no "Wangcasters" here, Thank You) and wouldn't want my name on it. My regular pricing applies to any custom shop work. There is an initial non-refundable $250.00 USD "design setup fee" for a full custom bass of your own design. This fee covers the time I have to put in taking your drawings and other specifications and creating the necessary computer line art drawings for your approval, and then converting those line art drawings into full scale drawings that I use to make the templates necessary to build your bass. Here are a few of some of the more interesting or unusual repairs, modifications, or restorations that come through the shop every now and then and sometimes make me have to think a bit to come up with a solution that works. A new bridge for a vintage Eko "Beatle Bass"